I love the decorative cow skulls I found from the fine folks at Evoke the Spirit. These authentic works of art use only bone, beeswax and colorful yarn and make a fine accent for just about any room. 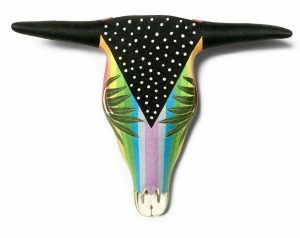 See all the Decorative Cow Skulls from Evoke the Spirit here. Lost Cowboy is powered by	WordPress 5.0.4 and delivered to you in 0.738 seconds using 45 queries.